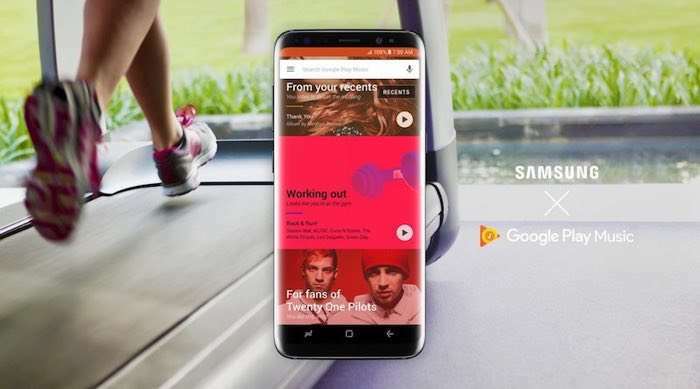 Samsung has announced that they have teamed up with Google Play Music and that the software will be the default music player on their new devices this year. The company has said that anyone who purchases the Galaxy S8, S8 Plus or Galaxy Tab S3 will get a free three month subscription to the service. Starting April 21, with the launch of the Galaxy S8 and S8+, Google Play Music* will be the default music player and music service on Android-based Samsung phones and tablets launched in 2017. ** With the service, users can enjoy free curated radio and smart music recommendations based on their preferences, and can discover and subscribe to podcasts. In addition, Samsung has also collaborated with Google Play Music to create exclusive features for users of the aforementioned devices. For example, users can upload and stream up to 100,000 songs from their own music collection on Google Play Music – twice the number available for general service users. You can find out more details about Samsung and Google Play Music over at Samsung’s website at the link below.